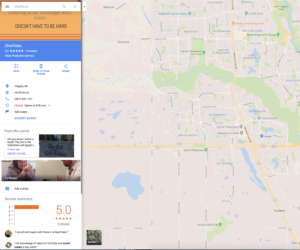 Have you been using Google My Business? If not, you are missing out on the power of this valuable – and free – resource. 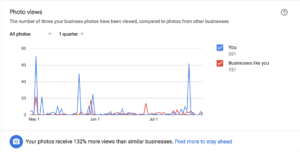 I’ll admit it, I was slow to the game with Google My Business, but mostly because I was still stinging from the wasted effort I put into Google +. I wanted to wait a while, see what would happen, how the platform would develop, and whether mapping a service-based business would bring people in the door, so to speak. The game changed when Google Maps updated to allow videos to be added to a Google Listing. 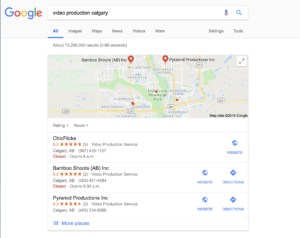 I created a simple video business card, added it to my listing and let the Google algorithm do its thing. I’m not even going to pretend I have any clue how that works, but what I love is seeing my video parked at the top of my listing in maps. The residual effects of updating my listing and adding video were unexpected and made me smile. 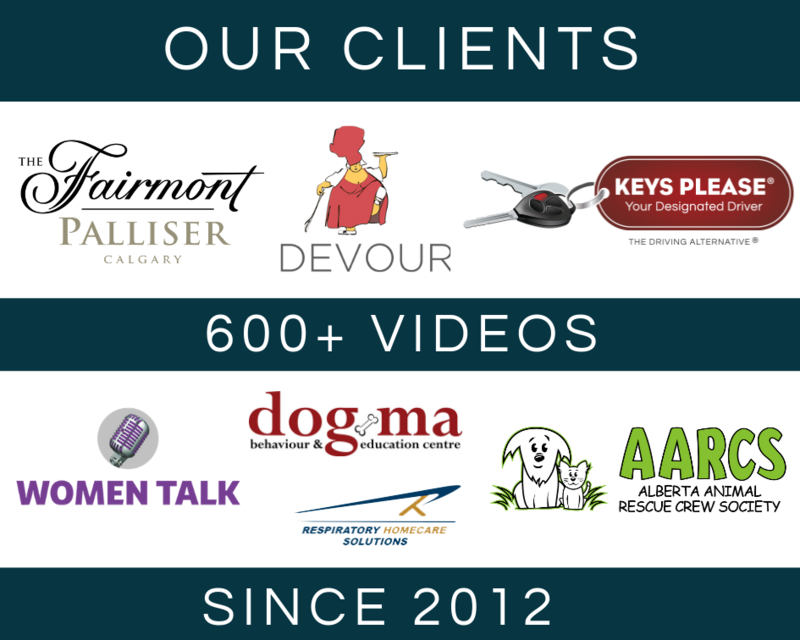 After more than 6 years in business, after writing more than 100 blog posts, after producing more than 700 videos, adding a video to my Google listing fast-tracked my company to the top of the search results for ‘video marketing calgary’ and ‘video production calgary’. Some SEO experts will argue that this was inevitable given the amount of content I produce, but I am going to maintain my pie in the sky approach and attribute this lift to the time I’ve put into Google My Business. I’ve had a few more phone calls over the last quarter, and I’ve experienced more email inquiries from people who found me through a Google search. The listing on mobile looks slick, and gives users a full picture of what I offer, where I am located, and what others have said about working with ChicFlicks. The most astonishing thing is just how many other businesses have not capitalized on this feature, including businesses in my own field. 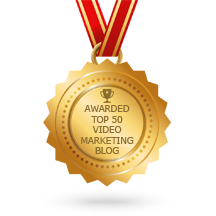 I highly recommend you spend some time filling out your profile on Google My Business and contacting me to talk about creating a video business card to add to your profile.